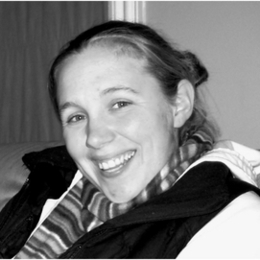 Gayle Doornbos was a research intern with the Work Research Foundation, publisher of Comment, in the summers of 2007 and 2008. She has worked with numerous churches and faith communities around the world, helping turn the particulars of theology into publicly relevant and socially constructive practice. Gayle holds a B.A. in Theology (Honors) from Redeemer University College. Most recently she has moved to Grand Rapids, Mich., and is pursuing a Master of Theological Studies degree at Calvin Theological Seminary. When her head is not stuck in a book Gayle loves spending time outdoors, playing soccer, and traveling.